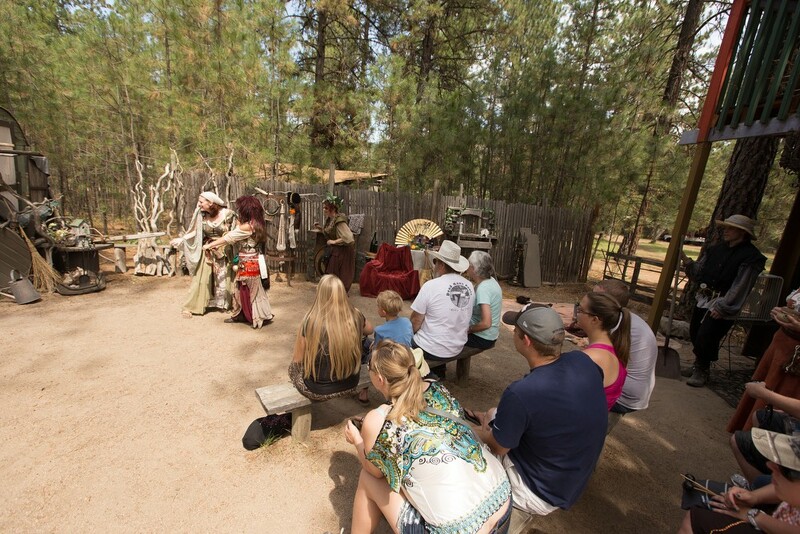 For the past 20 years in Nine Mile Falls, the Northwest Renaissance Festival has entertained patrons with jousts, music, mud shows, sword fights, gypsy shows and comedy shows. 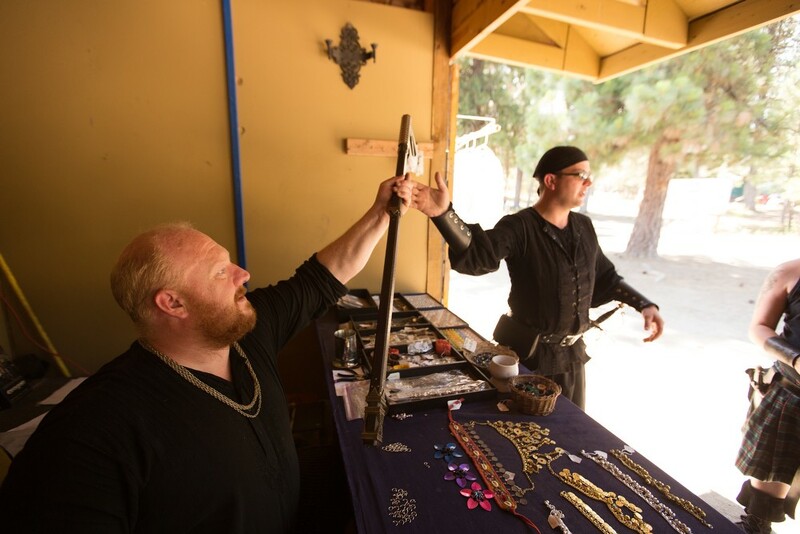 Vendors make everything from leather goods to chain mail and sell a variety of renaissance themed goods. Fr. 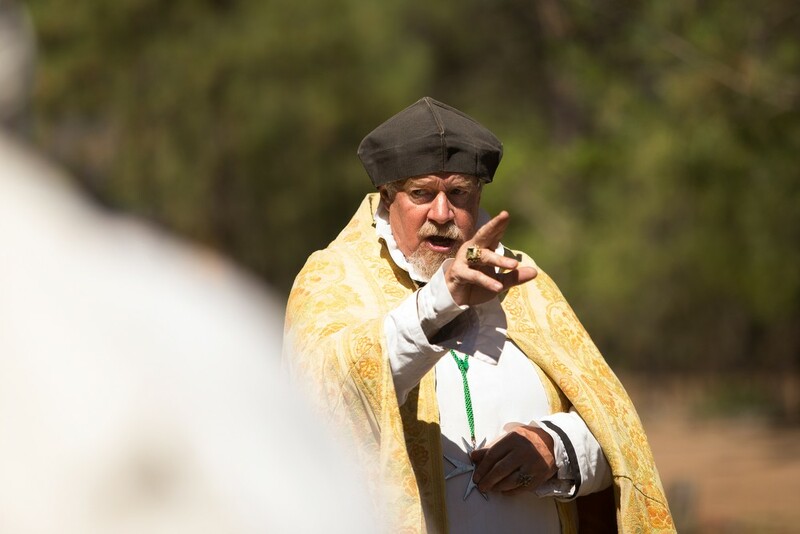 Patrick McReynolds (Bishop) gives a blessing. 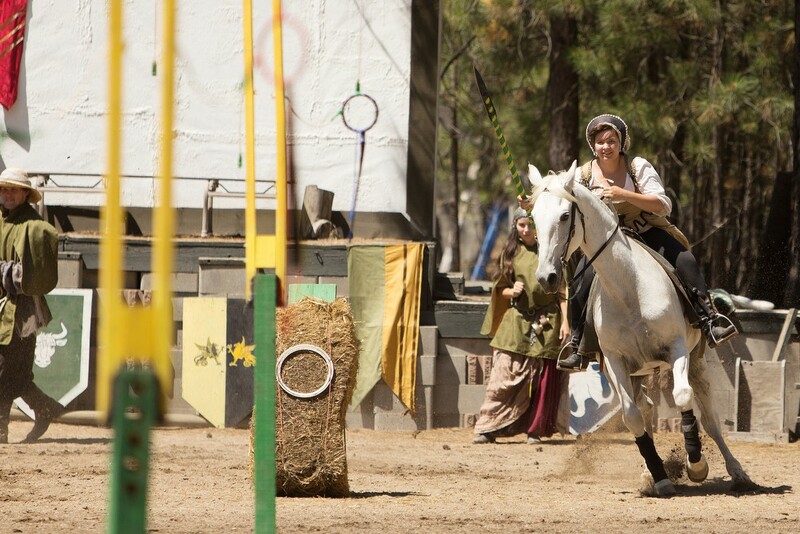 Alexandria Tull (Dame Edith Saxby) makes a run to grab a ring during Knightly Games on Horseback and Joust. 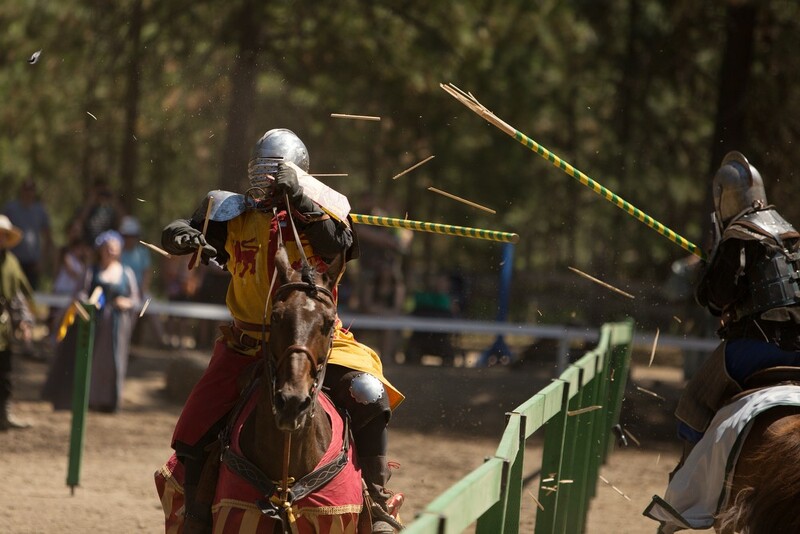 Tieg Thornton (Sir Jude Llewellyn), left, and Carson Hentges (Sir Digby Simkins) joust during Knightly Games on Horseback and Joust. 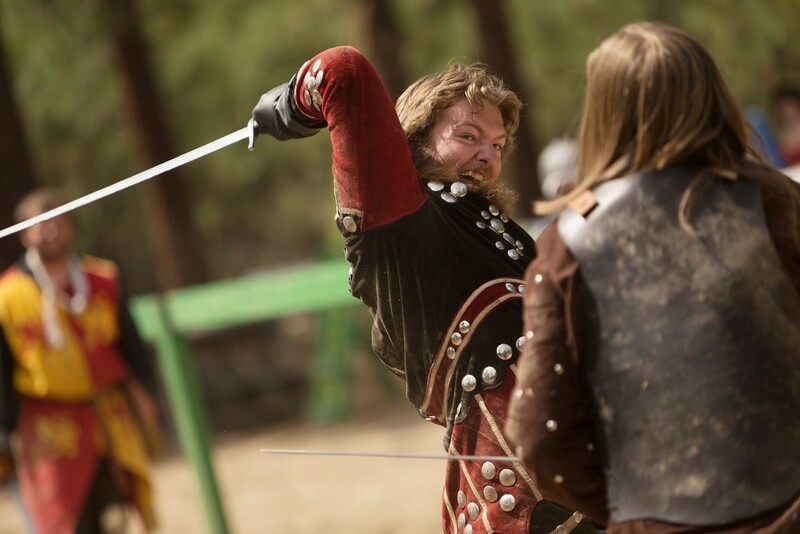 Carson Hentges (Sir Digby Simkins), left, and Tieg Thornton (Sir Jude Llewellyn) fight after a joust. 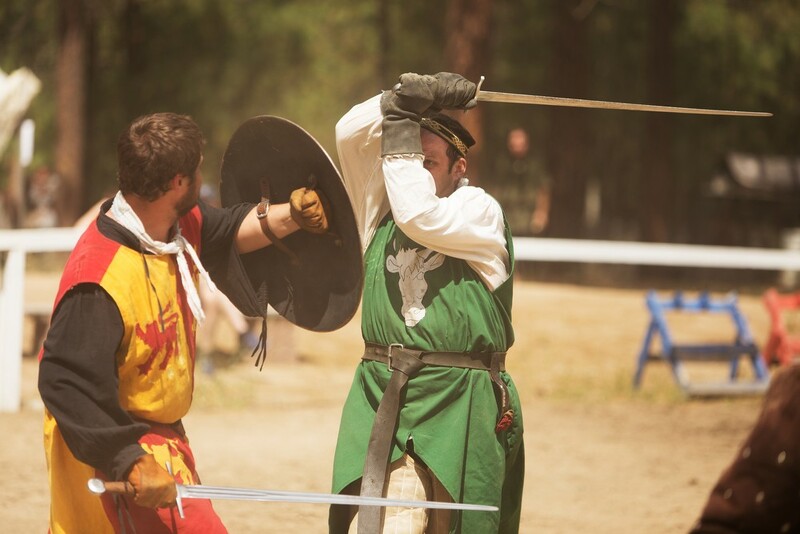 Tieg Thornton (Sir Jude Llewellyn), left, strikes Dan Compogno (Sir John Callsforth) with a lance. 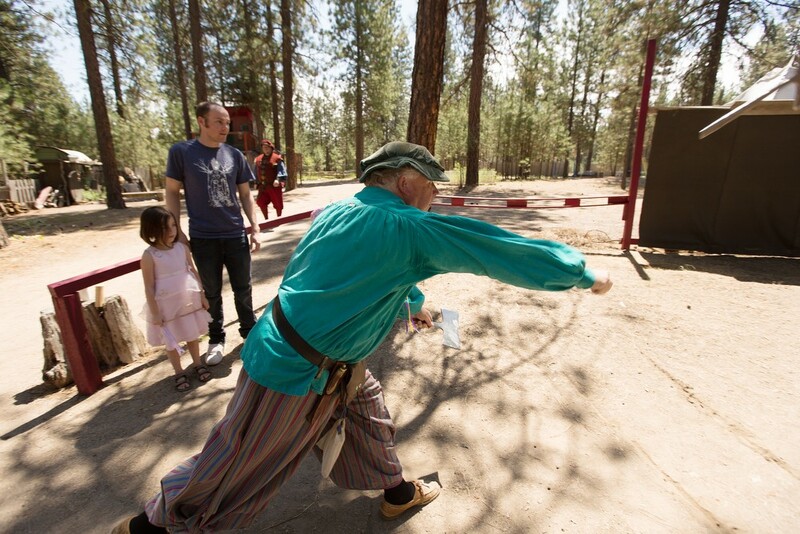 Co-Owner Gerald Whitehurst throws an ax. 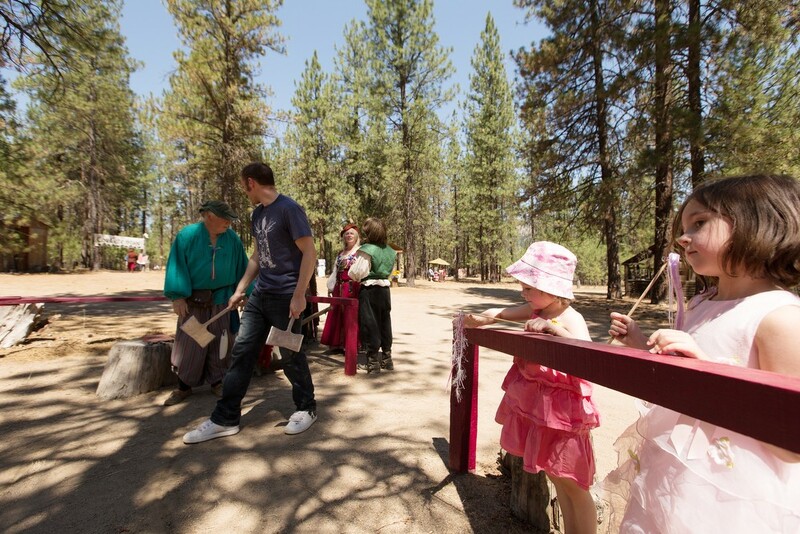 Patrons 5 year old Abby Howard and her 4 year old sister Anna watch their father Andrew throw axes. 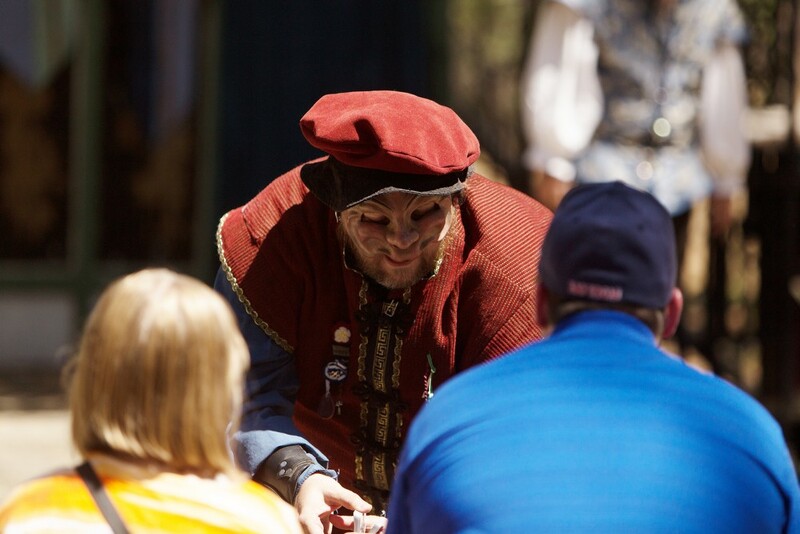 Ken Slack, center, performs a card trick with patrons 10 year old Abby Stewart, left, and her father Shane during a Zoupa de Zonia comedy show. 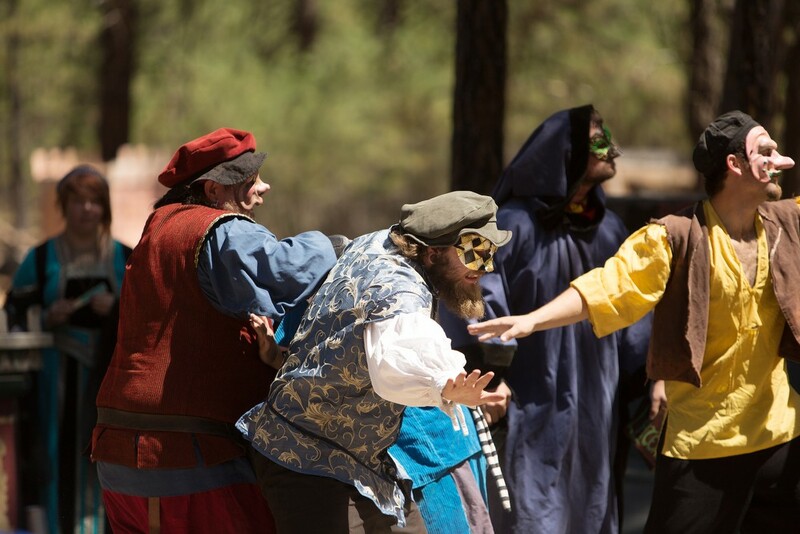 Trevor Staples, center, and Corey Stubbs, right, hold back Ken Slack, left, during a Zoupa de Zonia comedy show. 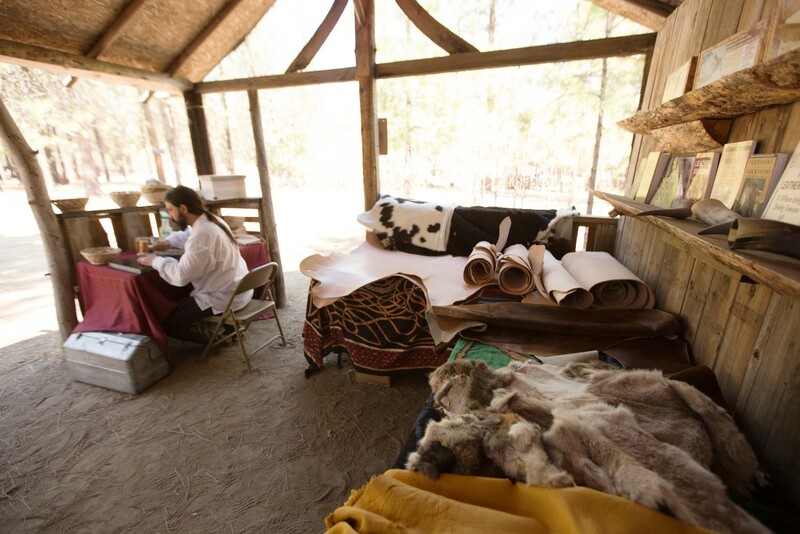 Patron Sam Berry, center, purchases a neck wrap from Pam Bristlin, left, as Hayden Hauck looks on. 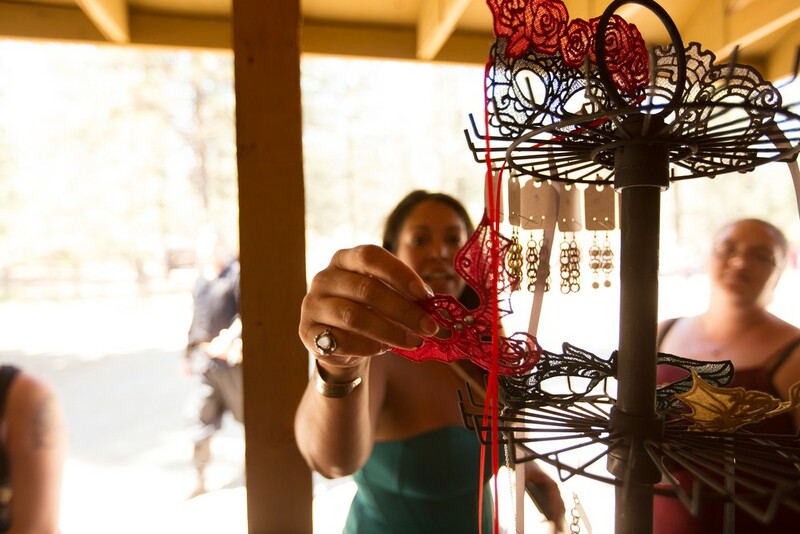 Patron Cisley McCarty, center, looks at some art as Blade & Sledge Co-Owner Cathryn Newlun looks on. Patron Correy Berilla, right, hands an ax back to Needle & Sledge Co-Owner Robert Smith. 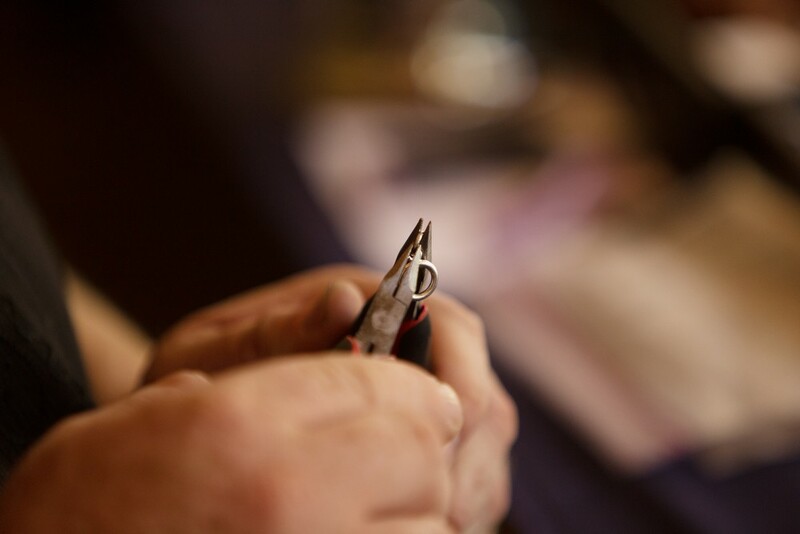 Needle & Sledge Co-Owner Robert Smith makes chainmail. 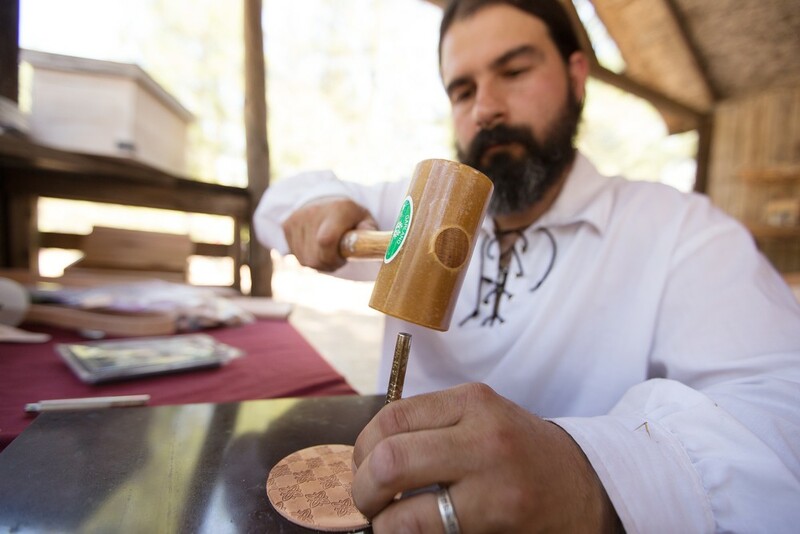 Tandy Leather Spokane Store Manager Jason Jones stamps leather. 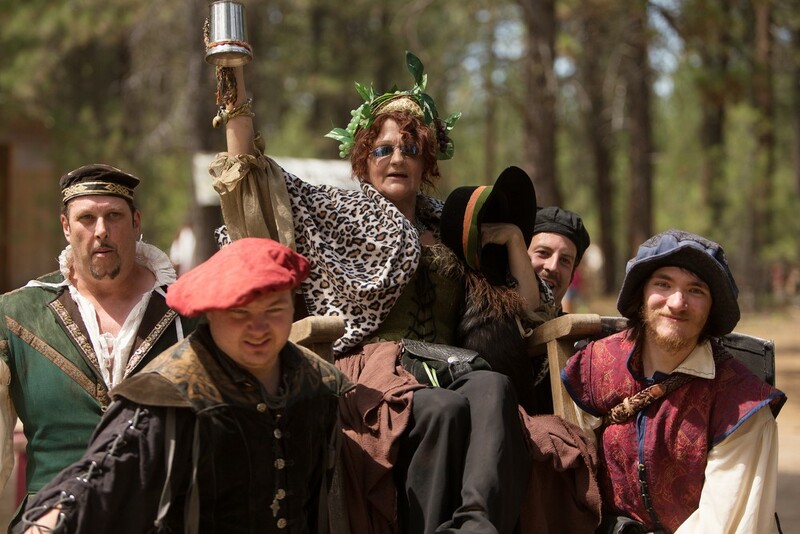 Elizabeth Challenger (Jazmine) is carried to the gypsy camp. 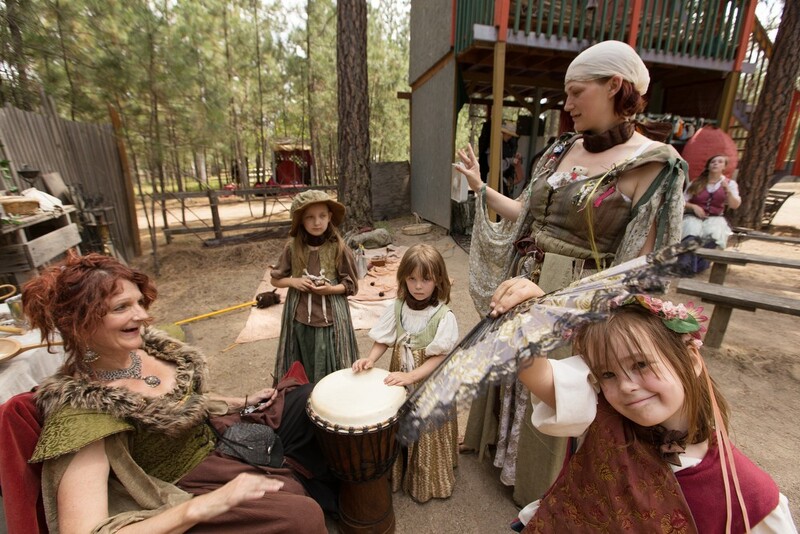 Heather Challenger (Willow), top left, and Kaycee Pease (Thistle) act during the Gypsy Show. 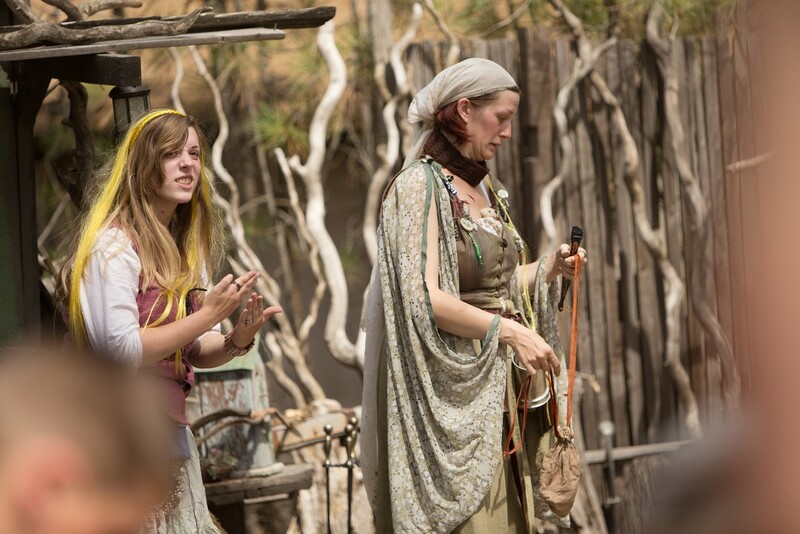 Angela Rickerson (Iris), left, and Heather Challenger (Willow) act during the Gypsy Show. 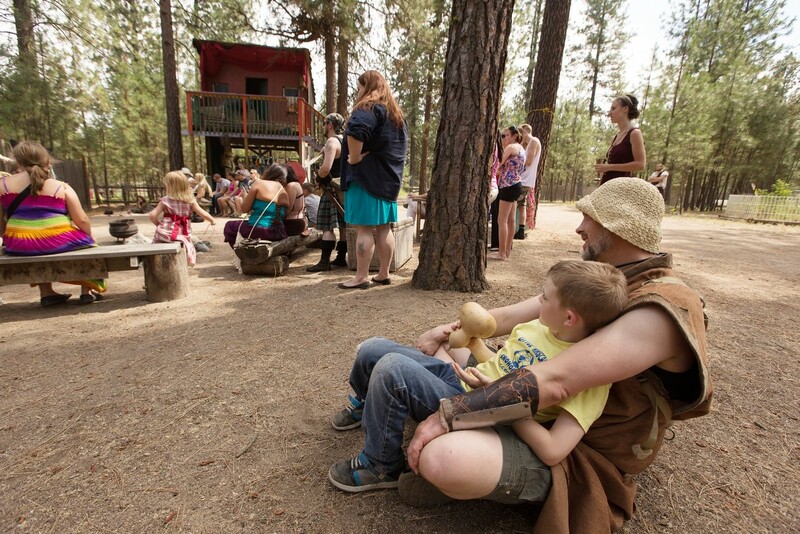 Patron Alan Brockway and his 7 year old son Emet watch the Gypsy Show. 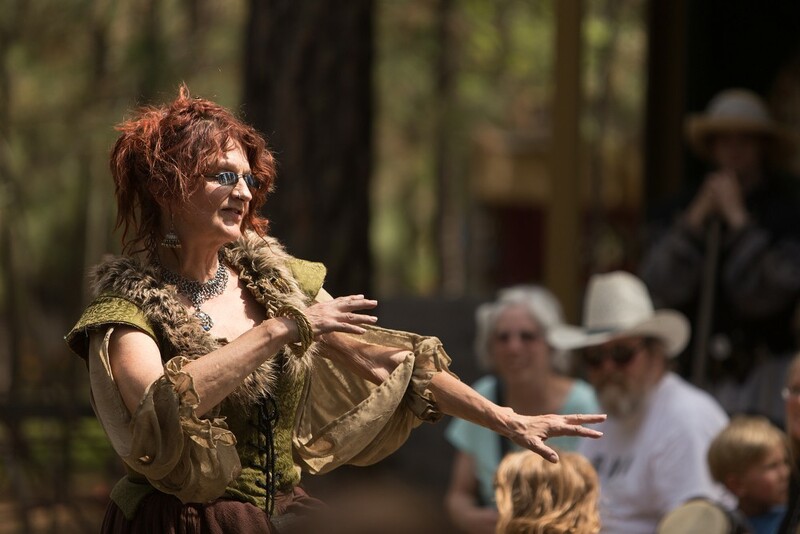 Elizabeth Challenger (Jazmine) dances during the Gypsy Show. 5 year old Rosalie Tartt, right, shows her fan while (left to right) Elizabeth Challenger (Jazmine), 7 year old Adrianna Tartt, 3 year old Aaliyah Tartt and Heather Challenger (Willow) look on. Brian Thornton (Sir Guy Du Malvier). 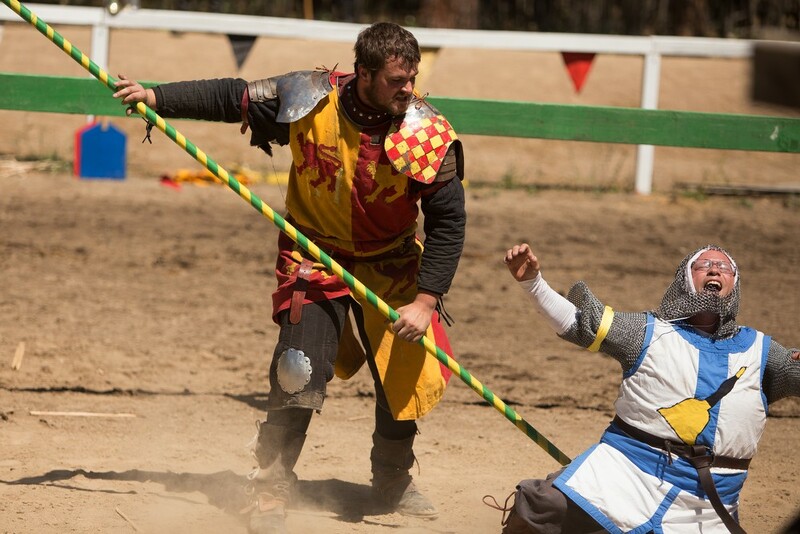 right, and Tieg Thornton (Sir Jude Llewellyn) fight during Knightly Games on Foot. 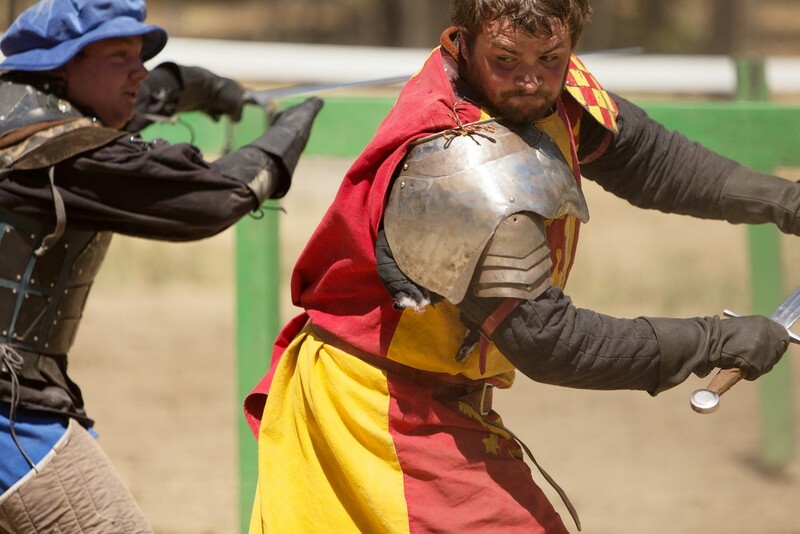 Trevor Staples (Sir Edmund Walsingham), left, and Dade Staples (Sir Wulfric Ulfenhaad) fight during Knightly Games on Foot. 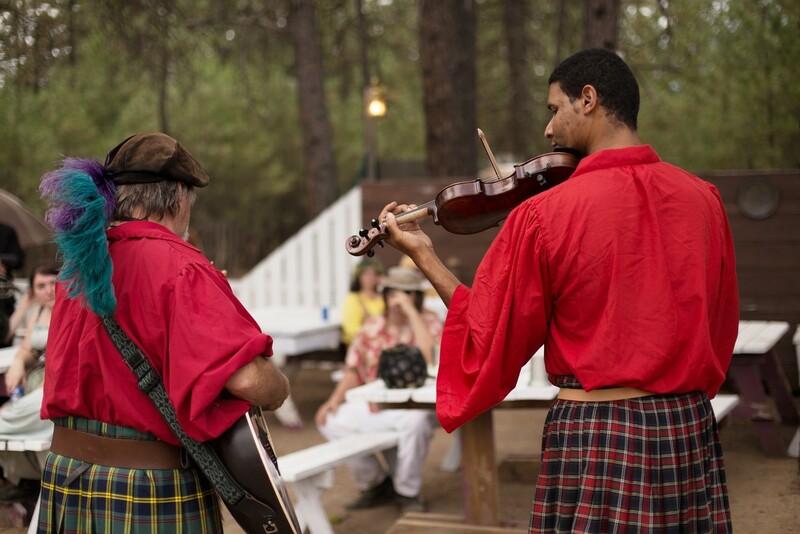 Greg Mahoney, left, plays the guitar while Damian Cudmore plays the violin. 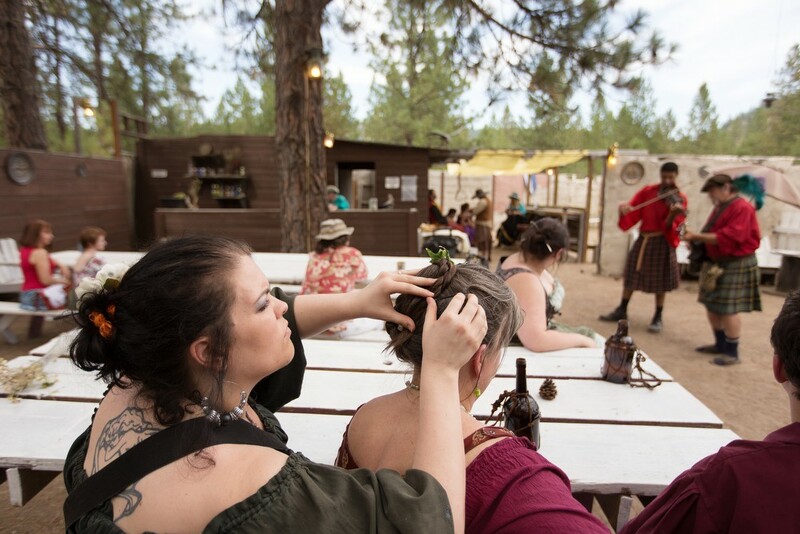 Patron Savannah Demers, left, braids Linda Stephens-Mann's hair while watching Greg Mahoney, right, and Damian Cudmore play music. 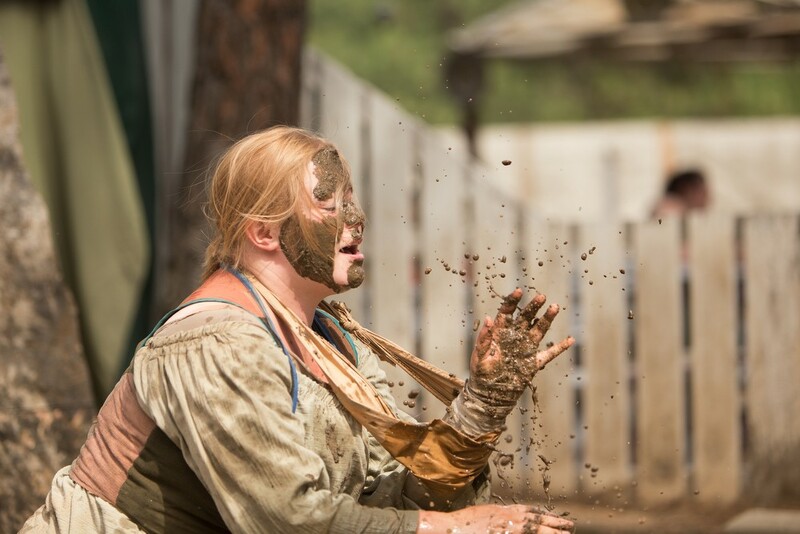 Fiona Thornton acts during a Mud Show.